Many of us spend a good chunk of time in the car, whether we’re a passenger or driver. But did you know that the air inside your vehicle can be up to six times dirtier than the air outside? This was a disturbing fact to me when I first learned it, although not surprising when you think about all the time we spend in our cars. When it’s winter and the windows are constantly up with the heat blasting, our air is even more stagnant and dirty since we’re not getting any fresh air in there. Thankfully, there are simple things you can do to detox your vehicle. If you also have kids or pets, your vehicle likely takes an even greater beating. Which is why it’s so important to think about doing these 10 simple tasks to make your ride healthier. 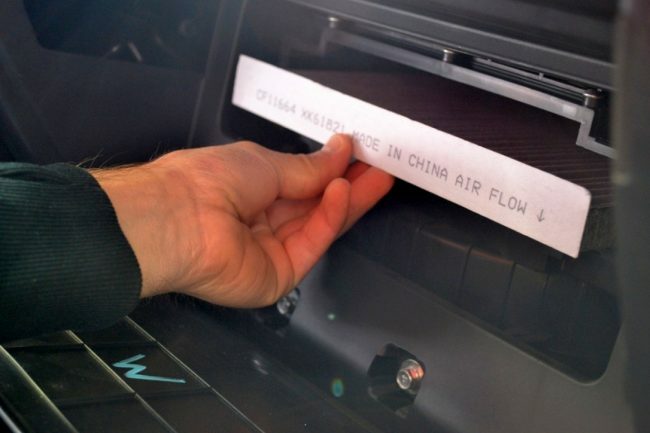 I’ve also included a simple tutorial on how to switch out your cabin air filter, which is so incredibly easy and can make a big difference for the car’s air quality. I can’t believe we ever paid anyone to install our cabin and engine air filters when they actually take less than 5 minutes to install yourself. 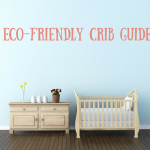 The best part about these tips is that they pretty much cost nothing and will actually save you money in the long run especially when it comes to professional cleaning or mechanic’s bills. Happy detoxifying, friends! Open the Windows. 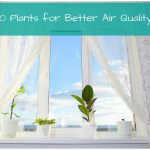 This may seem like a no-brainer, but fresh air can do wonders for our air quality. 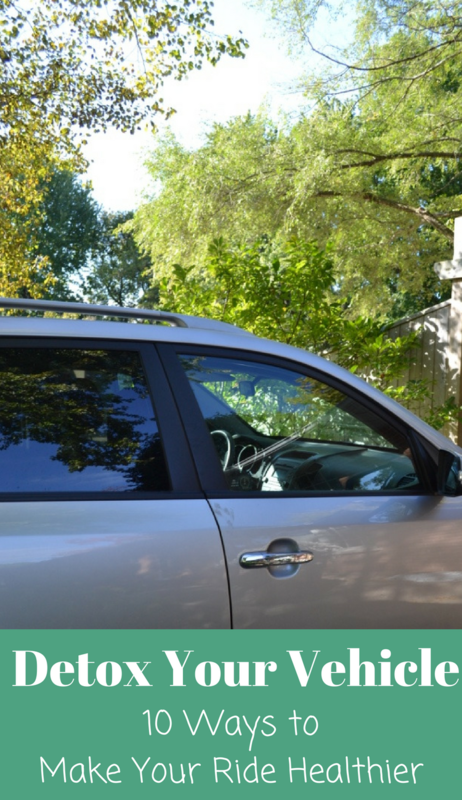 The air inside the car is often stagnant, so cracking the windows and letting mother nature do her job can really help naturally clean out the air. Ditch the Air Fresheners. Those cute pine-scented trees that hang from your rear-view mirror? The fragrances in these can make the air worse and if you’re prone to motion sickness (like me), those car air fresheners don’t help with the nausea. Get out the Essential Oils. 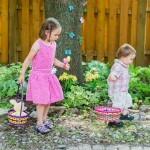 Is your car lived in by little ones? If so, it can be hard to ever really smell fresh and clean. But, don’t fret. 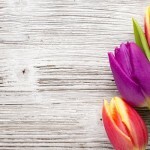 You can easily have it smelling nicer in no time by making your own air freshener. Mix a few drops in a small spray bottle with water, shake well and spray as you wish. My favourite is lavender, but peppermint is also nice especially if you get carsick. Throw out Old Food and Wrappers. Food and even food wrappers can grow mold spores at rapid rates. 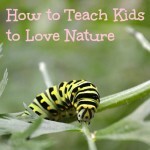 They can also rot easily in warmer weather. 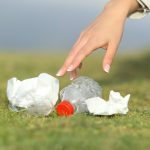 Clean out the car regularly and try to throw out all the leftover food and wrappers every day if you can. Having two little ones who are constantly hungry, I’m totally guilty of accumulating wrappers and leftover snacks in the car. After reading about how quickly they can develop mold though, I’m making a big effort to at least clean out food related items at the end of each day. Vacuum Often. I need to follow this rule a bit more, but vacuuming regularly can help keep food crumbs, dirt and debris any other car invaders at bay. It will help prevent mold build-up from food residue as well as get rid of dust and toxins. If you have kids, I’m sure your car gets messy and dusty just as quickly as mine does. The crumbs alone, oh my! If you also regularly bring your pet in the car with you, chances are there is dog or cat hair adding up there too. We use a shop vac with a hepa filter and it works really well. Dust. This might seem like an odd one but think about all the dust that is accumulating in your vehicle as the sun shines in all the big windows. Plus, all those people sitting in there for extended periods of time. Plus, Vehicles are well lived in. Just like any other room in your home, it should be dusted regularly. Forget about the Details. Forego the expensive detailing package. I know how tempting it is to have someone else clean your car, but all the products they’re using inside the car are hazardous to your health. It’s easy enough to clean your own car using natural materials. Baking soda, vinegar and water work wonders. A vinegar and water mix can be used on upholstery stains, and baking soda is a great odor neutralizer. It can be sprinkled on any surface, left overnight and vacuumed up in the morning. Ditch the Glass Cleaner. Vinegar mixed with water is seriously the best glass cleaner out there, plus it’s all natural. Forget the expensive speciality glass cleaners and mix up your own with water, vinegar and a couple drops of essential oils if you’d like. Dry Spills and Water Right Away. If you have any spills, clean them up right away to prevent mold from growing. When it comes to wet rainboots or umbrellas or snow in the wintertime, it’s important to also try to dry all this water residue up as quickly as possible. Mold thrives on moisture and when it’s cold outside, those spills and water can take ages to dry on their own. 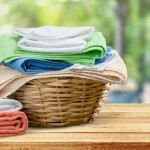 Use a blowdryer or a wet-dry vac if there is a lot. Change your Engine Filter and Cabin Filter. 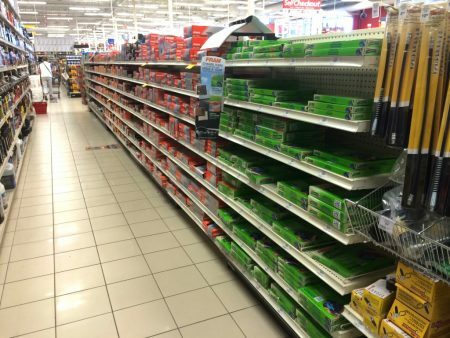 When we were last at our mechanic, they mentioned we should get new engine and cabin filters. I (mistakenly) assumed these weren’t necessary and brushed them off as a bit of a money grab. Until I started reading about how important these filters are for cleaning the air of the vehicle. Cabin air filters clean dust, dirt and allergens from the car, and a clogged one can block the flow of fresh air coming into the system. 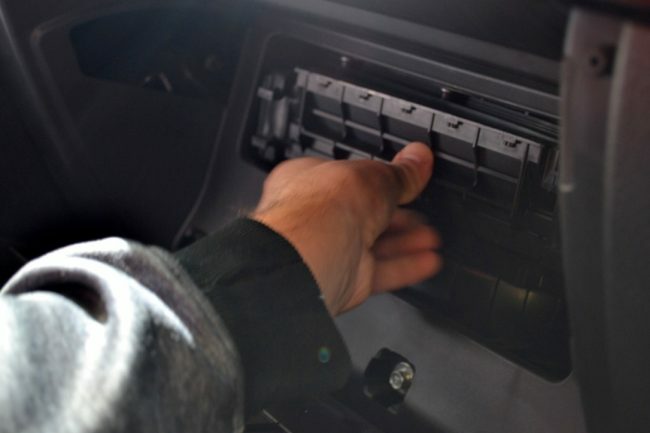 A clogged one can also restrict the air entering the vehicle’s ventilation system, which can interfere with your air conditioning or defrost system. After I read this, I remembered that part-way through the summer, we had an issue with our air conditioning unit being clogged, and I’m guessing (after seeing the state of our old filter) that it had to do with a clogged cabin filter. 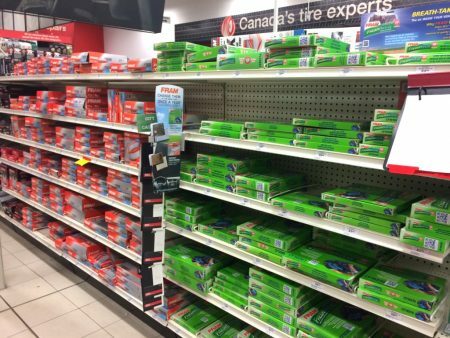 I swing by Canadian Tire the other day and ended up picking up both a cabin filter and an engine filter, both made by FRAM. 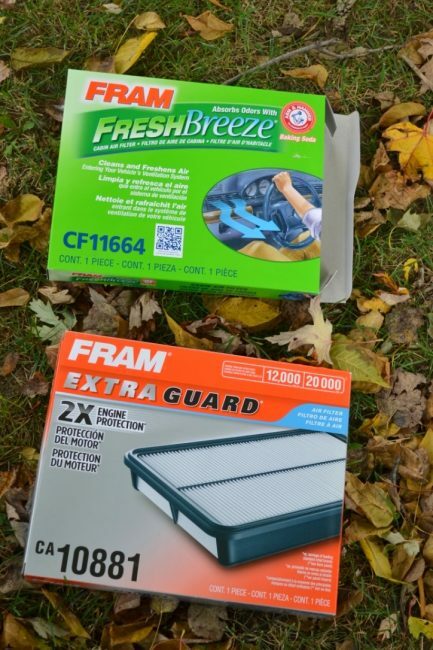 I love that the FRAM Fresh Breeze cabin filter uses Arm & Hammer baking soda to deodorize and activated carbon so it’s all natural. When we took out our cabin filter to change it to the new FRAM breeze one, I couldn’t believe how dirty and gross the old one was! I am so glad we decided to change them. I also can’t believe how easy these are to change yourself. Never again will we will be paying someone else to do it. For less than half the price they were going to charge, we can get an amazing natural cabin filter and install it ourselves in about 5 minutes. 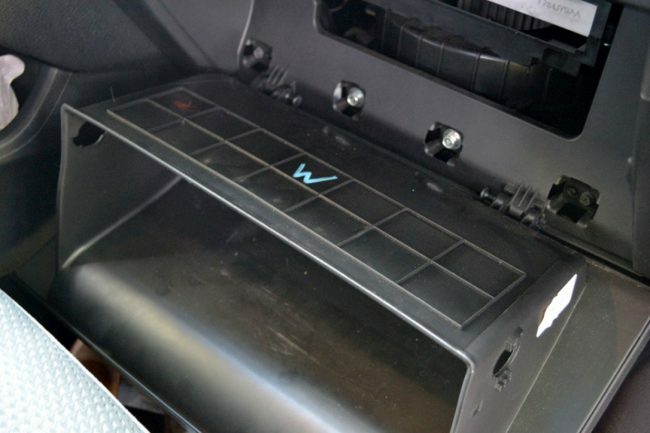 See the tutorial below on how to change your cabin filter. This is specific to our Kia Sorento, but you can look online for specific instructions for your own vehicle. I found both air filters side-by-side in the automotive section of Canadian Tire and there was a handy book there to tell me which number of filters I needed. The engine filter was also super easy to change and ours was definitely due for a new one. The air filter improves airflow and also prevents dirt and dust from damaging the engine. A clean one can also increase acceleration and improve engine performance. 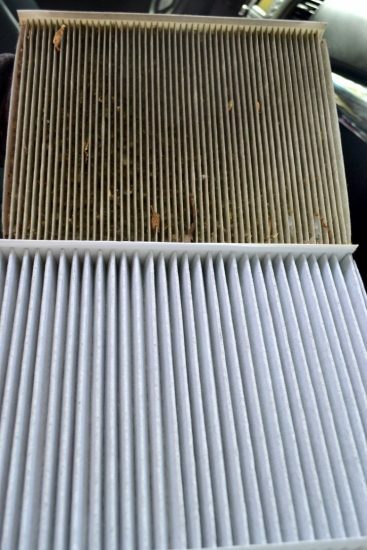 Both of these filters are easy ways to help clean the air inside your vehicle, and they’re also simple things you can do on your own to help maintain your car. 1. Open the globe box and empty everything out. 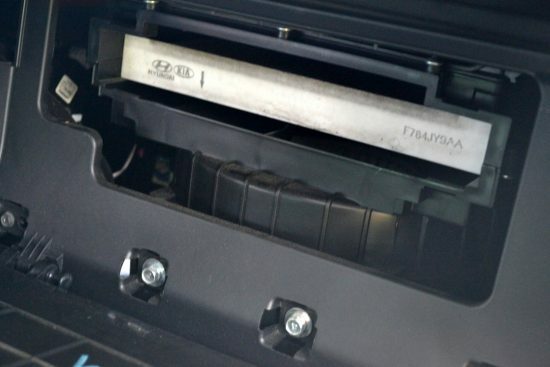 Pull the glove box damper string, which is attached to a rectangular black anchor on the inner right wall. 2. Grab the string anchor and pass it through the square shaped hole to release it. 3. Rotate the knobs 1/4 turn counterclockwise and pull the stops out of the side walls. 4. Lower the glove box down and you will see the HVAC blower motor housing and filter access panel (it’s the rectangular shaped one). 5. Find the two retaining clips holding the cover together (one on each side) and squeeze together the two plastic tabs on each side to release the clips. Pull the cover off the blower. 6. Slide the old filter out of the slot. As you can see, ours was super dirty and definitely needed to be replaced. If it’s just a bit dusty, you can vacuum the dust off and re-use it. 7. 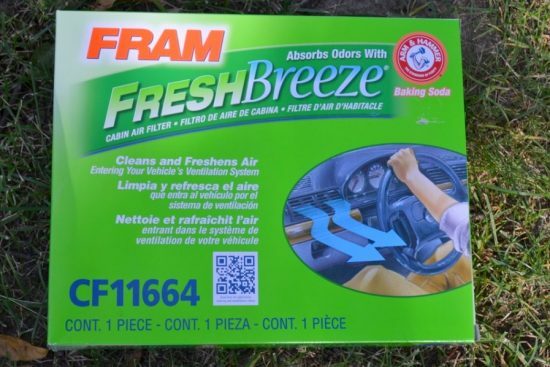 Take the FRAM Fresh Breeze cabin air filter out of the package and slide it into the slot right side up. The Air Flow arrow should be pointing downwards. 8. Line up the filter cover over the slot and gentle push it in place until you hear or feel the clips click into place. 9. Raise up the glove box a bit and then pass the small rectangular anchor for the damper string through the square hole in the right side wall. 10. 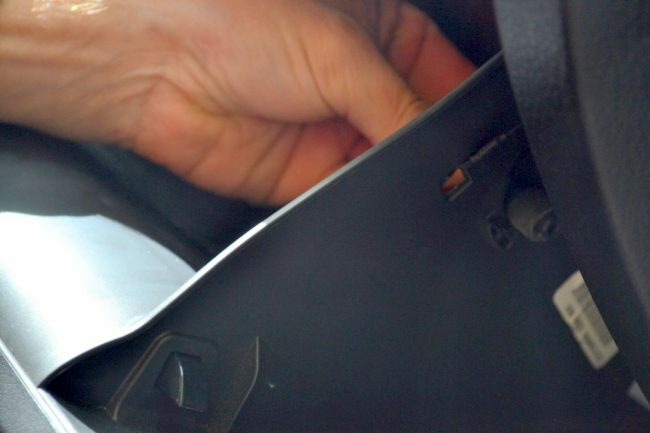 Close the glove box partially until the round holes are just past the dashboard. Re-insert the two plastic and rubber side stops and rotate them 1/4 turn clockwise to secure them back in place. Now that you see how easy it is to change the filters yourself, hopefully you also never need to pay anyone to do it either! Check out more tips and videos for simple vehicle maintenance and a general video on how to change your cabin air filter.